October has arrived and that means the fall and Halloween festivities are starting. To kick off the fun there is the annual Punkin Chunkin event this weekend, October 10th and 11th, at the Aurora Reservoir. Come see teams of all skill level attempt to catapult a pumpkin as far as they can. Click here for more details. Also this Sunday is Beyond the Blackboard Canvas and Cookies event. Where the kids can learn how to paint a pumpkin patch scene. It is $25 per child, October 11th 1:30pm-3pm. Beyond the Blackboard is having another event October 24th from 1pm-2:30pm for kids to decorate their own pumpkin (no carving required). It is only $10 per child. To sign up for either of these events call 303-627-5791. 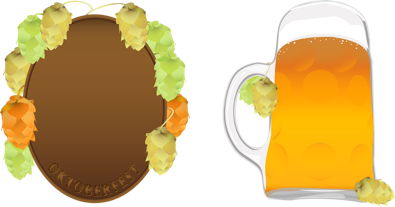 Love fall beers? Join the Southlands Old Chicago for their Halloween Mini Tour Kickoff Party on Wednesday October 14th at 6pm. When you have finished the beer tour by November 1st, you receive an Old Chicago Halloween Mini Tour t-shirt. If a nice dinner out is what you are looking for, Wine Experience Cafe is having an Italian Wine dinner. The winery showcased will be Olianas Sardinia. You will experience a five course meal with wine pairings for each course. This event will take place October 22nd, 6:30pm Cocktails 7pm dinner, it's $69 per person. For more information click here. 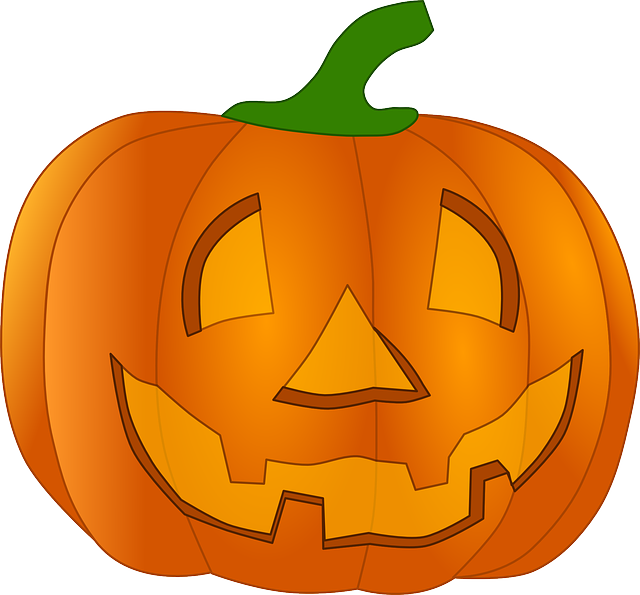 On October 31st, Southlands Mall is having their annual Halloween Trick or Treating around Main Street. Participating stores will be handing out candy from 10am-12pm. Dress up your ghouls and goblins for this fun event! In partnership Dry Dock Brewery and City of Aurora Parks and Recreation is having a Yoga and Beer event. On October 31st from 10am-11am. Sign up for this event and you will get to enjoy an invigorating yoga class. Then enjoy a beer afterwards with your yoga friends. click here for more details. Also look to the South East Aurora website for information about other local businesses. Check back to South East Aurora's Facebook page all weekend to see live posts and pictures from this event. Also look to the South East Aurora website for information about other local businesses. This Thursday through Sunday the County Fair is back. It's gonna be a hootin' and hollarin' of a good time. Just some of the special events/activities that are going to be there include a petting farm, carnival rides, fireworks Friday and Saturday, and the classic Muttin' Bustin'. The one thing I am looking forward to is the 4-H livestock Auction. It's Saturday the 25th at 6:30pm. Proceeds go to the individual 4-H exhibitor. Come check out this unique experience to bid on locally raised cows, hogs, goats, poultry, rabbits and lambs. On Sunday, for the first time, there will be a Farmers Market from 11am-3pm. Local farmers and vendors will have their freshest goods for you to choose from. Tagawa Gardens will also be there to demonstrate plant maintenance. Also exhibiting their talents will be the DockDogs, see these flying canines soar across the course Friday, Saturday and Sunday. If you want your competition to be a little more loud, then the Monster Metal Mayhem is a can't miss. It includes a demolition derby, flat track motorcycle racing and motocross stunt bikers. The Mayhem begins at 8pm on the 26th! Being a beer lover, I like the Arapahoe County Fair most because it seems to kick off the beer festival season every year. This has unlimited sampling from your favorite local brewers. Such as Dry Dock, Two22, and The BOB. It's happening July 24th from 4-9pm and is $15 per person. To get more details about these and other events visit the Arapahoe County Fair official website. We hope to see you there! As always, keep checking back to http://southeast-aurora.com/ for more information on events, businesses and specials in the area. This weekend we celebrate America's independence and Colorado likes to do it up big! All over the state you can find some sort of parade, festival and of course fireworks. 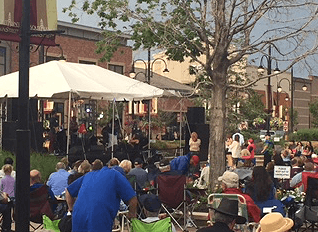 In Aurora, the Municipal Center has there own festivities with a car show, hot dog eating contest and a concert with America's Got Talent finalist, Emily West. The festivities start at 4pm, the concert starts at 8pm and the fireworks starting after 9pm. Start a great long weekend with a free concert. The city's signature cultural celebration for visual, performing and culinary arts. Enjoy a wide range of family friendly fun. Culinary Avenue features tasty treats and live cooking demonstrations from some of Denver's most popular eateries. from 2nd to 3rd Avenue on the seven streets between Columbine and Steele Sts. July 4th, doors open at 6:30 p.m. concert starts at 7 p.m.
Colorado Symphony returns to Fiddler's Green with a family-friendly program featuring the music of Frozen, the Magical World of Pixar, Harry Potter and Star Wars! 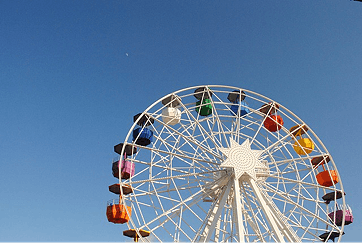 Spend the day riding roller coasters and water slides, then watch fireworks light up the night sky starting at dusk. Prizes will be given to kids and adults with the best patriotic flair. After the run enjoy food and beverages. This community-friendly event will be marching along 23rd Avenue. 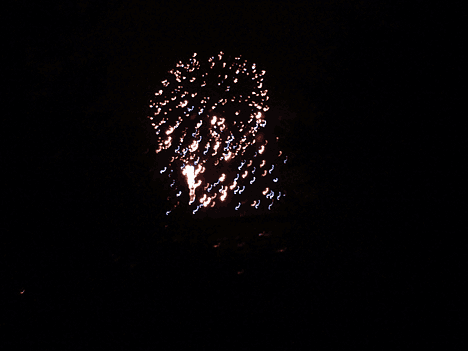 Park Hill, on 23rd Ave. from Dexter St. to Krameria St.
After the game enjoy fireworks within the bowl, pyrotechnics paired with visuals on a 220-foot wide hi-def screen. End a great weekend with a free concert in City Park. City Park Bandstand, 17th Ave. and Colorado Blvd. A great spot to watch all of the fireworks that are happening in the Denver area is Confluence Park area near REI. 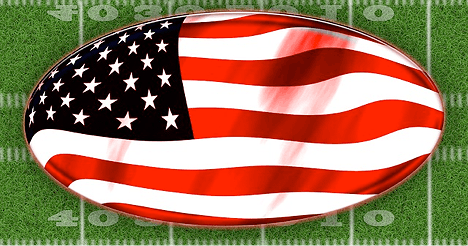 We hope you all have a safe and fun 4th of July! And as always check back to http://www.southeast-aurora.com for events and activities. This past Thursday I went up to Southlands Shopping Center to check out the Sounds of Southlands event. Unfortunately it was a windy day and the storms were trying to come through but that didn't stop the music or people from attending and having a good time. 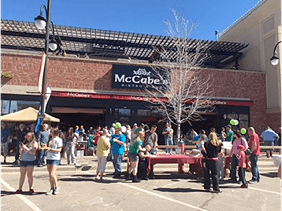 This event is a good time for the whole family McCabes sets up a patio area in the parking lot outside of the restaurant where you can order a drink from their pop-up bar. On the Ted' Montana Grill side the YMCA club sets up tents for face painting and to get your hair sprayed a funky color. They also had a bouncy castle! This past Thursday was Denver's legendary songstress Hazel Miller. The Rocky Mountain News said that she is not just a great singer, "she is a force of nature". Which was very fitting for the weather that we had the past week. 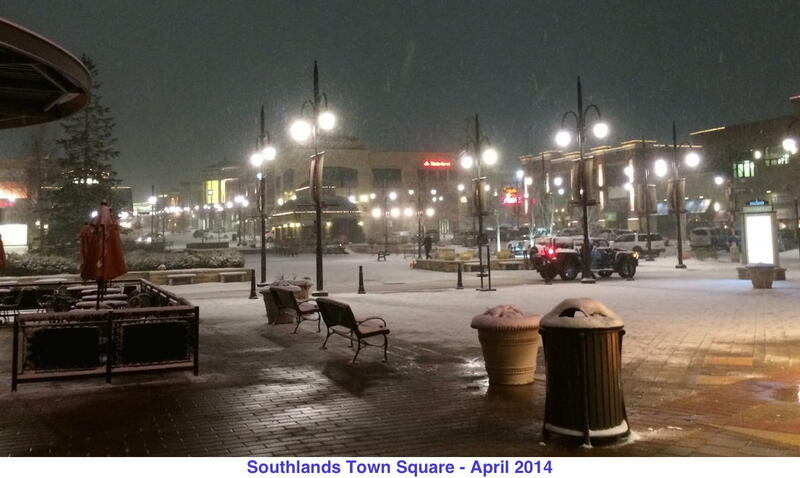 Sounds of Southlands happens every Thursday starting at 6pm in the Town Square. Every week there is a different local band for you to enjoy. Here at SouthEast-Aurora.com we hope you had a great start to the summer with the first good weathered weekend. Now that it looks like the good weather is finally going to continue we can go back to enjoying our community. The timing is great because South East Aurora has plenty of great activities starting this week. Every Wednesday in June from 5:30 - 7:30pm on Town Square for a fun-filled event for the kids. There will be entertainment, lots of fun activities with a different theme every week. Southlands' annual concert series is coming back - every Thursday from 6 - 8pm. June 18th through August 13th in the Town Square. Bring your blankets and watch a movie under the stars at Southlands. Pre-show entertainment starts at 7:30pm and movie starts at dusk. St. Patrick's day all started with the Patron Saint Patrick bringing christianity to Ireland. It was originally celebrated with church services and the Lenten restrictions on eating and drinking alcohol are lifted for the day, which has encouraged the holiday's tradition of alcohol consumption. 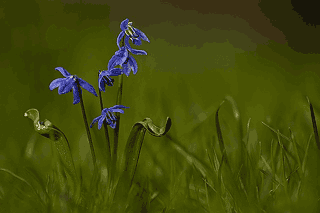 Today the celebrations include public parades, festivals, wearing green or shamrocks and drinking green beer. Southeast-Aurora has their own celebrations to commemorate the day. Such as this past Sunday, McCabe's Bistro & Pub had their annual Irish Festival benefiting St. Baldrick's Foundation. Patrons enjoyed live Irish music and entertainment. To round out the festivities there was also the St. Baldrick's Head Shaving Fundraiser and raffle drawing. McCabes Bistro and Pub serving Corned Beef and Cabbage all day. DJ Ratko is playing tracks from 5-10pm. Bag pipers are making an appearance at 7:30pm. Keep checking back to southeast-aurora.com for more information on events, businesses and specials in the area. This past week I attended an event that got me to express my creative side in a way that I thought I couldn't have been able to to before. I have never been a great artist, and the thought of painting on a canvas in front of a group of people made me very unsure of myself. 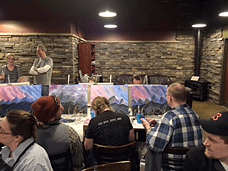 What is great about the events that The Paint Cellar puts on is they walk you through every step, every layer and help you make the painting your own. 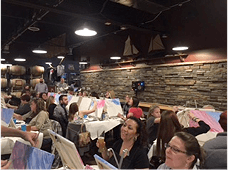 This particular event was made even better because it was hosted by Dry Dock Brewing. 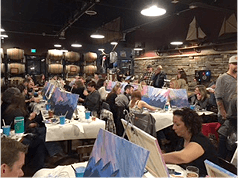 The Paint Cellar at Southlands experience is a new and exciting concept in entertainment in Southeast Aurora. The process is easy; go online and pick what painting you want from their calendar. When you arrive for your class, instructors will walk you through the artistic process while you create your own masterpiece. Dry Dock is one of my favorite places to have casual date night with my husband, meet up with friends and enjoy really good beers that are locally brewed right here in Aurora, Colorado. My husband also gets all of his brewing supplies at The Brew Hut which is connected to Dry Dock Brewing. Dry Dock opened in 2005 as Aurora's first brewery and they have been growing ever since. They have now expanded into a second location called the Canoe Room, a four-tap tasting room inside of its North Dock facility and has won 20 Great American Brew Festival medals, the Brewers Association's Small Brewery of the Year award, and five World Beer Cup® awards. On a cold snowy day there is nothing better than a hot cozy meal. 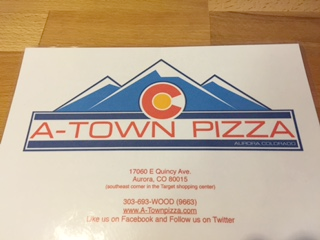 With all of the snow we have been experiencing I thought I would try out A-Town Pizza. Where, their hope is to bring something that has been perfected in Italy to our corner of the world. A-Town uses the freshest ingredients including fresh dough made the day before from Italian flour aged to perfection. In addition, to serving high quality pizza they also have a selection of local craft beers on tap. You are able to enjoy all of your favorite local beers while eating exceptional food. A-Town uses the Stefano Ferrara oven, which has had a fire going since A-Town opened. The wood fire is the only heat and the pizza cooks in less than two minutes at 700 degrees. Even their wings get finished in the wood fire oven, giving them a crispy smokey skin. 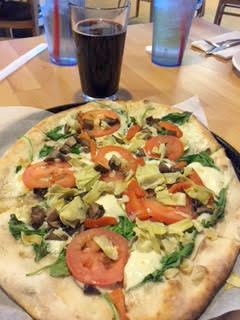 When I visited A Town last week I ordered The Hippie, which includes olive oil, spinach, fresh mozzarella, artichoke, red onion, mushrooms, kalamata olives and roasted red peppers. 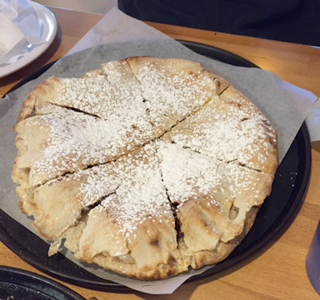 For dessert I ordered the Nutty Isaac, toasted pizza crust filled with Nutella, and sprinkled with powdered sugar. Everything was incredibly delicious. The fresh ingredients were prevalent but the crust was the true star of the pizza. If you are looking for a low key environment but want a meal that is more substantial than fast food, then A-Town should be your next meal. As always, keep checking back to southeast-aurora.com for more information on events, businesses and specials in the area. This week, Two22 Brew is celebrating their one year anniversary. To celebrate this momentous occasion there will be several activities every day this week to celebrate. These activities will include a trivia night, beer pong (with water) for charity, food trucks and releases of their favorite beers from over the past year. Sunday TWO22!! Happy 1 Year Anniversary! Tribute to their Colorado Charities and Two22's mission of giving back. Two22's mission from day one was to provide beer-lovers with a way to give charitably to local causes through the beer they drink. With this mission, Two22 gives $2.22 of every $10 of profits to local charity. The money that Two22 raises currently goes to The Schuster Family Foundation (SFF), they are a small family foundation located in Northern Colorado. 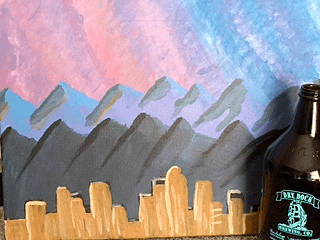 They carry out a broad range of charitable gifting to support Colorado entities in the fields of education, environmental action, and 'whole person' enrichment. Their passion is to help motivated organizations throughout Colorado provide enhanced opportunities to the communities in which they work. Stop by Two22 this week to celebrate their anniversary and help them continue their fundraising for 2015. To continue our exploration around the businesses of South East-Aurora. This week I visited Wine Experience Cafe & World Cellar. Where, “Dinner takes an upward turn toward wine-friendly foods made of the highest quality ingredients”. They offer over 150 wines, which can also be purchased at the World Cellar next door. Their chefs believe in using the freshest ingredients and letting the food shine through. I fortunately got one of the tables next to the three-sided fireplace in their 80-seat restaurant. I went on a Monday night, so I was able to experience their “Casual Cafe” Menu. This menu has $14 Dinner and Drink selections and $7 Martini's. I unfortunately didn't imbibe on their martini's but I did go with a group so I was able to taste the entire menu selection. I thought with such affordable prices the portions would be small but was pleasantly surprised that they were not. The menu is grilled chicken with spinach salad and a glass of Chardonnay, the Cafe burger with fries and a pint of Pilsner, or spaghetti and meatballs with a glass of Cabernet Sauvignon. On top of all of this great food. Wine Experience also did not disappoint in their service. Everyone was friendly and very attentive to our needs. If you are wanting more of a unique dining experience. Wine Experience Cafe has Wine Dinners featuring a focus on a region, a specific winemaker or type of cuisine. 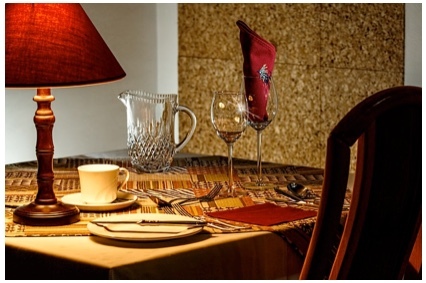 You will learn the intricacies of wine tasting, wine pairing and wine enjoyment to its fullest. Cline Wine Dinner, January 21st, 6:30 P.M. - 9:30 P.M.
Jarvis Wine Dinner, January 28th, 6:30 P.M. - 9:30 P.M. Experience this once-in-a-lifetime dining experience featuring five courses paired with a selection of Jarvis Estate wines and hosted by world-class winemaker, Ted Henry. As I am sure you all are aware but the XLIX Super Bowl is this Sunday. The New England Patriots will be taking on last year's winners The Seattle Seahawks, it will be held at The University of Phoenix Stadium in Glendale, AZ. NBC will be airing the broadcast at 4:30pm MT. If you are one that would prefer to watch the game with a crowd and not have to provide the snacks. Then you are in luck! Since we have so many great places in the South East Aurora area to watch the game. Speaking of Bad Daddy's Burger Bar, I recently went to the newest addition to The Southlands Shopping Center. Bad Daddy's Burger Bar is a franchise that was started in North Carolina but with the recent purchase of Bad Daddy's by Good Times, they have started to expand into Colorado. The menu has the typical burger bar fare with burgers, fries, tots and shakes. They also have a great selection of salads including a section where you can build your own salad and a nice variety of sandwiches sure to satisfy anybodies cravings. To top the great selection of burgers and shakes they have on their menu they also offer to build your own burger or shake. As far as the service goes everyone was friendly and even though when I went it was a busy night, I didn't have to wait very long for a table. 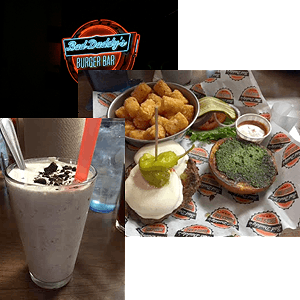 Overall, Bad Daddy's Burger Bar is a great place to grab a bite to eat and would recommend it to anyone who loves burgers and shakes. Now that you have recovered from the holidays, you can get out and enjoy all of the places and events happening in South East Aurora. A unique event happening is this week. The Amazing Race is having one of their casting call's at Southlands Shopping Center. The auditions will take place Thursday January 22 at Sports Authority, you can start lining up at 8am with the auditions beginning at 10am. The first 200 teams to line up will have the opportunity to try out on camera. Those who want to try out just bring a teammate and any props that help the team express why they are a good fit for the show. Maybe an adventure back in time is more interesting to you than an adventure across the globe. Then you should visit Melvin School, tucked back at the cross streets of Chambers and Smoky Hill Rd. This two-room schoolhouse originally served the outlying community of Melvin. Most of the interior has been authentically restored; one classroom demonstrates the furnishings of a 1920s rural schoolhouse, while the second room is now a museum and library. If libations and good food suit your needs more then check out Two22 Brew and Wine Experience Cafe. Two22 Brew is hosting several food trucks this weekend on Friday enjoy Gusto's Kitchen, a gourmet local catering and gourmet mobile food truck that provide's a healthier American food option then on Saturday enjoy Street Frites they bring Belgian Frite to the streets! Their best seller "The Standard" is topped with applewood smoked pepper bacon, cheddar cheese, goat cheese sour cream and chives. May we suggest either Two22's APA or saison to go with such a great snack. I am sure any of these meals or martinis will help buck up your spirits and get you ready for the rest of the week ahead. If you are looking for something more structured like a gym then joining TrueFit might be just for you. For the month of January they are having a special promotion to join. $15 to sign up, $15 for the first month and then $29/month thereafter. TruFit offers treadmills, ellipticals, weight machines, and group classes. Want to try something new that can promote an over-all well being, balance, restoration, and stress relief. Try Acupuncture, One Point Wellness Acupuncture just opened at the Southlands Shopping Center. Located at Suite 245 near the management office. Dr. Kirk Wick is a Colorado Licensed Acupuncturist and Board Certified in both Acupuncture and Chinese Herbology. Bad Daddy's Burger Bar: Opens January 7th. Bad Daddy's is a chef driven burger joint that uses a mix of local and artisanal ingredients to make the most amazing burger you've ever had. Kay Jewelers: Coming soon. For 90 years, Kay Jewelers has offered exceptional jewelry with outstanding customer service. Offering a wide selection of fine jewelry at a great price. Zerry's Clothier & Rentals: Now open. They offer a wide selection of women's, men's and children's clothing available to purchase or rent for social, business and formal needs. 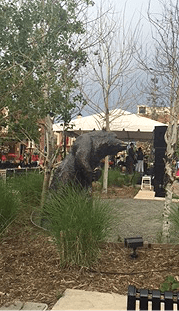 As you have read in our previous blog there are several activities happening in South East Aurora, specifically Southlands Shopping Center. They are all activities that the whole family can enjoy participating or spectating in. Bundle everybody up, get out and enjoy the festivities. A highlight of the winter season. Enjoy ice skating with friends and family daily. Located next to Ted's Montana Grill. Every Wednesday is the special paws and claws nights. Bring in your dog or cat for a cute and unique holiday photo. There are special hours the week of Christmas. Pick up unique handmade gifts and food items for everyone on your holiday list. The retailers are joining in on the festivities as well such as, Savory Spice Shop is having 25% off Ready Made Gift packages. This special is happening until December 31,2014. Mainstream Boutique is having a HOLIDAY OPEN HOUSE Thursday, December 18 from 6pm-8pm. Join them for holiday cheer, in store specials, and a free gift with purchase. 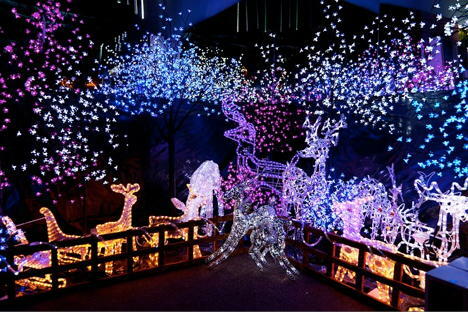 Tuesday, December 23 is Southlands Annual Menorah Lighting. Join Rabbi Mintz from the Chabad Jewish Center of South Metro Denver at 6pm on Southlands Town Square. We hope you enjoy all of the activities happening all week long. As always, keep checking back to southeast-aurora.com for more information on events, businesses and specials in the area. If not, then you have to come the right spot. Do you have a picky guy in your life? Want a memorable gift for the grandparents? 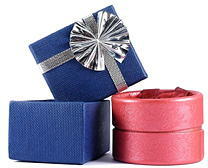 Have a special lady, that you want to get just the right present? then look no further than your local South-East Aurora businesses. For a great and thoughtful gift for the grandparent's take the kids to Color Me Mine and have them pick out a platter or vase to personalize. Look here for their specials and promotions for the month of December. Need to get something for your significant other, sister or mom? Check out Gap for their latest fashions that will keep her warm and looking great all season long. They have gifts for great stocking stuffers up to so-worth-it splurges. Such as, the quilted wool moto jacket ($118) or cashmere sweater leggings ($149.95). Their wristlets ($19.95) and fashionable scarves ($24.95-$30.95) will put a smile on any fashionista's face and won't break the bank. You can also never go wrong with a superb fragrance from PerfumeX, carrying over 300 perfumes and colognes, they will have the scent that fits that special someone in your life. 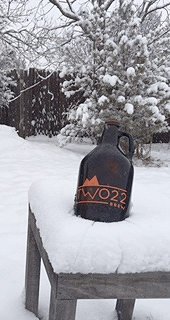 For the picky man, check out Two22 Brew for their limited edition holiday growlers, they will be the envy of all their friends when they show up to the next gathering with cold beer from their local brewery. If he is into the latest technology or gaming the Southlands Best Buy is having specials all month long. If you have a foodie or a wine enthusiast on your list then Savory Spice Shop and Wine Experience is your destination. Savory Spice Shop has a collection of spice blends, sauces, stocks and spice ware that will satisfy all levels of cooks. Wine Experience is a distinctive venue that eclipses other wine and beer shops. They carry unique, hand-crafted wines and wine accessories. Last but certainly not least, the kids!! Beyond the Blackboard has an assortment of educational and fun toys for your budding artist, aspiring architect, super scientists or marveling magician. Beyond the Blackboards' toys will delight and inspire your children of all ages. We hope you found this post helpful for your holiday shopping season. For other promotions and events check our events section or our Facebook page for the latest updates. At South-East Aurora we hope you had a wonderful Thanksgiving with your friends and family. Now that the holiday season has started, enjoy it! Avoid the long lines and parking nightmare that the large malls can have. 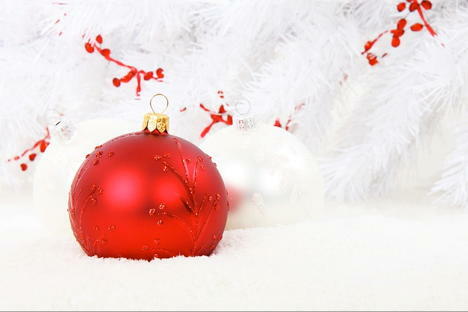 Visit Southlands Shopping Center for your one stop shop for all of your holiday needs and avoid the headaches. 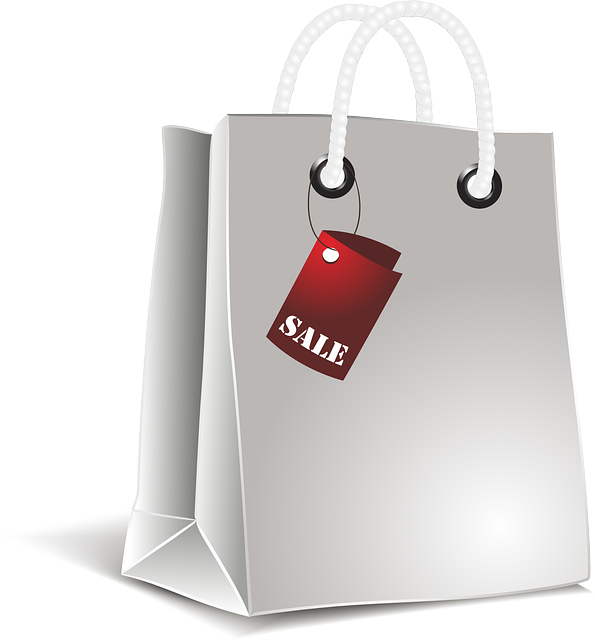 The Shop, Sip and Stroll event is the perfect example of a fun night out at the Southlands Shopping Center while getting your shopping list taken care of. Happening December 4th from 6pm-9pm. It will be a special night of shopping with special retailer offers, entertainment, prizes and giveaways. Including, the first 100 families to Holiday Guest Services will receive a goodie bag. While you are out at Southlands check out the "Get Frosted" mini tour at Old Chicago at Southlands Mall. Celebrate the season with their selection of craft beers, once you have finished the tour receive a fleece jacket. This tour is happening from December 3rd to January 4th. Located next to Ted's Montana Grill. Open everyday except Monday, and every Wednesday their our special paws and claws nights. Bring in your dog or cat for a cute and unique holiday photo. Pick up unique handmade gifts and food items for everyone on your holiday list. Open everyday except Mondays. We hope you can attend any of these events and join in on the festivities. And as always, keep checking back to southeast-aurora.com for more information on events, businesses and specials in the area. The holidays are here in South-East Aurora. We are getting excited for all of the festivities, food and family. By the looks of it the businesses in the area our getting in on the festivities as well. 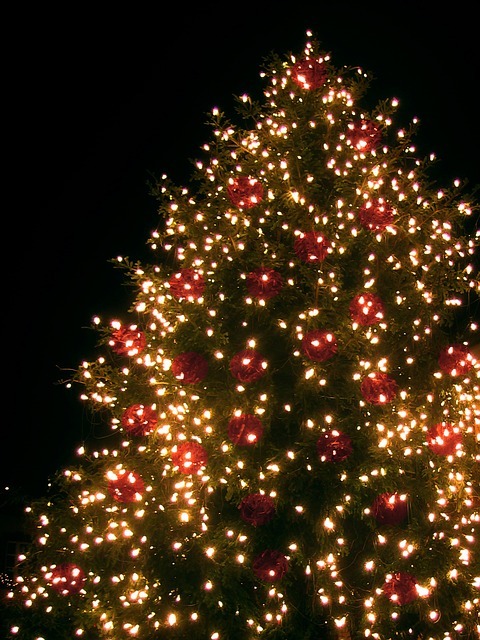 This Saturday kick off the holiday season at Southlands, they are having their annual Holiday Hometown Parade and Tree Lighting. This event will take place at 6pm, at the Southlands Main street and Town Square. This kick-off means that all of the wonderful annual festivities that occur at Southlands are back! Ice skating at the pond, Holiday Food and Gift Show, and Santa Claus! For more information on all of these events and more check out: http://www.shopsouthlands.com/events. To help your home get ready for the holiday season, Home Depot is hosting a Do-It-HerSelf workshop on how to create a Holiday Marquee. This event will be held at the Saddlerock location November 20 from 6:30-8pm. Click here: http://workshops.homedepot.com/workshops/do-it-herself-workshops to learn more about this event and other workshops happening at your local Home Depot. If you want to go out to have a delicious dinner before you have to cook THE big meal next week. Wine Experience Cafe is hosting Duck Pond Winery for a wine-paired gourmet meal. This Thursday from 6:30pm-9:30pm enjoy 5 courses with 6 fantastic Oregon wines for $59 per person. On top of all of these festivities Southlands Shopping Center is hosting several charity events this season as well. Including, teaming up with Coats for Colorado for a great event that is happening October 1- November 30. They are collecting coats to help our communities. Coats for Colorado distributes gently used and new coats to individuals and families in need. They can also use mittens, hats, scarves, socks and other warm clothing to donate to Denver Rescue Mission. Click here: http://www.shopsouthlands.com/event/beyond-the-blackboard-coats-for-colorado for more details. The retailers are also accepting toy donations for Southlands Toys For Tots drive. Help needy children in our area by bringing a new, unwrapped toy to one of these participating retailers: Chico's, Chirosport Chiropractic, Claire's, Edward Jones, Goochie Cakes, Heads Up Salon & Spa, My Best Friends Closet, My Kid's Closet, Picture It Studios, RE/MAX Success, Santa Photo Experience, Sola Salons, and TrueFit. For more information, please call: (303) 699-6902. To help your holiday shopping Southlands Shopping Center is continuing their "Holiday Threads" promotion, get a complimentary Southlands $20 Gift Card when you spend $100 or more at these qualifying retailers: American Eagle, Charming Charlie, Chicos, Eddie Bauer, Francesca's Collections, GAP/GAP Kids/Baby GAP, Gymboree, H&M, Hot Topic, Jos. A. Bank, Justice, Lane Bryant, New York & Company, Sports Authority, The Children's Place, Tilly's, Victoria's Secret, White House | Black Market, Zerry's Clothier and Zumiez. Offer expires and redemption deadline is 11/26/2014 or while supplies last, bring receipts from the qualifying retailers listed to the Holiday Guest Services Redemption location during designated hours. For more information go to http://shopsouthlands.com/holidaythreads. We hope you can attend any of these events and join in on the festivities. And as always, keep checking back to http://southeast-aurora.com for more information on events, businesses and specials in the area. What a typical week we have been having here in Colorado. On Saturday it was high 60's and now for the past 48 hours it has been in the single digits and snowing. If you want to just stay in and enjoy a nice warm home cooked meal, check out these delicious and easy crock pot meals from Craftsy: http://www.craftsy.com/blog/2014/11/10-crockpot-recipes/. Once you start to get cabin-fever and need to get out the South East Aurora businesses don't disappoint this weekend for a well rounded list of events. Southlands Shopping Center is hosting "Holiday Threads" get a complimentary Southlands $20 Gift Card when you spend $100 or more at these qualifying retailers: American Eagle, Charming Charlie, Chicos, Eddie Bauer, Francesca's Collections, GAP/GAP Kids/Baby GAP, Gymboree, H & M, Hot Topic, Jos. A. Bank, Justice, Lane Bryant, New York & Company, Sports Authority, The Children's Place, Tilly's, Victoria's Secret, White House | Black Market, Zerry's Clothier and Zumiez. Offer expires and redemption deadline is 11/26/2014 or while supplies last, bring receipts from the qualifying retailers listed to the Holiday Guest Services Redemption location during designated hours. For more information go to http://shopsouthlands.com/holidaythreads. Are you looking to update your living space with a new light fixture? Then the local Home Depot has got a work shop for you. Saturday, November 15 at 10 A. M. the Saddlerock Home Depot is hosting a Do-It-Yourself Workshop: How to Install a Light Fixture. You will learn how to replace and install light fixtures and upgrade to a dimmer switch. To RSVP for this event go to: http://workshops.homedepot.com/workshops/home. If you are wanting to see how the people of Colorado's past braved these harsh elements, take a walk through The Plains Conservation Centers short-grass prairie ecosystem into 1837 Cheyenne Indian Camp and experience the day-to-day life of a typical family. Enjoy a guided tour of the tipis and artifacts as you experience Cheyenne culture on the plains. This Saturday, November 15 at 9 A.M. and 10:15 A.M. For more information go to The Plains Conservation Center event page at: http://plainscenter.doubleknot.com/event/1608922. Now to move on to a different part of SE Aurora we have Two22 brewery. They have a great selection of beers and always some sort of event happening. Hump Day Pic(nic) Me Up: $1 off a Growler fill and Wednesdays are picnics and games at Two22. Every Sunday, Tuesday, Friday and Saturday during specific times food trucks are parked out front for you to grab some great food to go with your beer. Check here for: http://two22brew.com/ for more details. Winter Fun Day-9am or 1pm November 8: Enjoy a casual wagon ride to their 1867 homesteads, take a guided tour, learn how cultures of the past utilized the prairie's resources during winter, feed the chickens, turkeys, steers and collect eggs, and also receive a short introduction to their one-room school house. You can also take a short walk through their short-grass prairie ecosystem in 1837 Cheyenne Indian camp where you can make corn husk dolls, make and eat molasses cookies, make yukka cordage and try your hand at archery. Holidays on the Prairie 6pm-8pm November 8: Enjoy a horse drawn carriage ride to and from the homestead houses, take a guided tour of the homestead lit up by oil lanterns whiled drinking hot apple cider and eating molasses cookies. All of the buildings will be decorated in 1867 holiday decorations. And as always, keep checking back to http://www.southeast-aurora.com/ for more information on events, businesses and specials in the area. Friday is the scariest day of the year, Halloween, that means candy, costumes and parties. 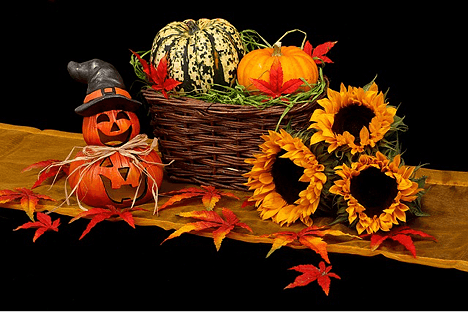 The best place to have a safe and fun Trick-or-Treat session is at Southlands Shopping Center. They will have their Trick or Treat Trail October 31 from 5pm-7pm along Southlands Main Street and participating retailers and restaurants. You can also receive a free Trick-or-Treat activity book when you donate nonperishable food items to benefit SHARE Project. There will also be a Haunted House next to LensCrafters, spooky stories, bouncy castles, carnival games, face painting and more at the Town Square. visit http://www.shopsouthlands.com/event/trick-or-treat-trail-new-date/2145432878 for more information. If you are need something a little extra something for your child's costume this year try these monster finger puppets, from eHow: http://www.ehow.com/ehow-crafts/blog/monster-finger-puppets-for-kids/? This is a great project that you can do with your kids ages 6+. The holiday season is a time for fun, friends and food. If you want to start this holiday season off with healthier options than candy try these great recipe's from BRIT+CO: http://www.brit.co/healthy-halloween-snacks/.They include frozen banana mummies and hairy creature things, simple monster kale smoothie, and candy corn fruit parfait. Such a fun way to create spooky foods without feeling guilty. Now, as you know H&M just opened at Southlands Shopping Center last Thursday. If you didn't get a chance to stop by last week, you're in luck. The Giveaways are not over, If you spend $65 at H&M during October 27-November 2, take your receipts to the redemption booth at the fire pit from noon-6pm November 1-2 to receive a $20 Southlands gift card. Offer expired. The Southlands Shopping Center is teaming up with Coats for Colorado for a great event that is happening October 1- November 30. They are collecting coats to help our communities. Coats for Colorado distributes gently used and new coats to individuals and families in need. They can also use mittens, hats, scarves, socks and other warm clothing to donate to Denver Rescue Mission. Click here: http://www.shopsouthlands.com/event/beyond-the-blackboard-coats-for-colorado for more details. H&M is coming to Southlands Shopping Center!!! This major event kicks off Thursday, October 23, at noon. Not only is it exciting that this ultra-hip shopping destination is coming to our "neck of the woods" but they are topping it off with great extra's. There are "giveaways" for the first 200 people in line on October 23 at Noon. All weekend long Friday through Sunday Noon each day the first 100 people in line receive free $50 H&M gift card and from Noon-6pm all weekend long bring Southlands H&M receipts totaling $75 or more, dated Oct 23-26, to Reception Location (in fire pit area) and receive a free $20 Southlands Gift Card and a “goodie” filled Gift Bag. If you want to feel good just as much you want to look good then come to the Centura Health Southlands Family Fall Festival and Open House. It is Saturday, October 25 from 11 am to 3pm. There will be free activities and health screenings, pumpkins for the first 750 people, food, games and give-a-ways, free trick-or-treat bags, face painting, blood pressure screenings, Flight for Life® Colorado Helicopter Tour, Munchkinland Kid Zone and Bounce Houses, Free Bone Density Heel Screening, $25 Flu Shots and much more. If you attend you will meet the leading experts in healthcare, and tour their new state-of-the-art medical facilities. The weather is getting colder here in Colorado and that means two things wildlife is on the move for hibernation and you need to get prepared for winter safety. Many animals such as bears and deer are transitioning into hibernation and that means traversing more territory to look for just the right energy source. 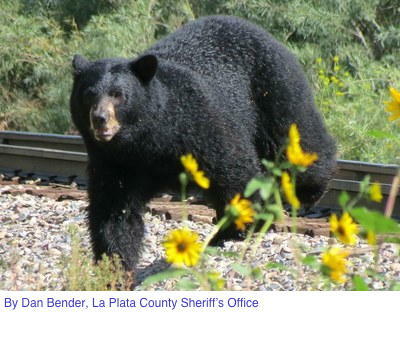 The Colorado Department of Transportation and Colorado State Patrol are reminding motorists that wildlife-vehicle collisions on highways are at their highest in the fall. These collisions can happen year round, 24/7, but there is always an increase in November and June and the majority occur during the hours between dusk and dawn. These collisions are not only dangerous but can be quite costly as well. So slow down and stay alert! Getting yourself and your family prepared for winter safety is another topic that has to be considered when we start to go into the colder months of the year here in Colorado. A storm can get dangerous in just a matter of hours. To help you prepare The Aurora Office of Emergency Management has their WinterWise preparedness booklet available after October 27th at these locations: Aurora Public Library branches, Recreation Centers, the Aurora History Museum, Aurora Municipal Center or you can go online and download a copy at: - no longer available - here. 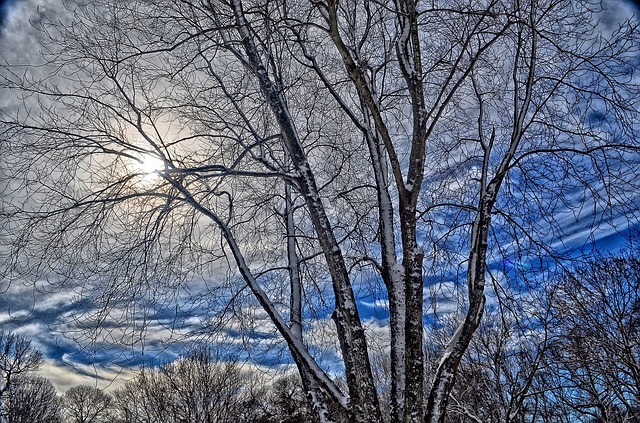 By preparing in advance for winter emergencies, and by observing safety precautions during times of extremely cold weather, you can reduce the risk of weather-related problems and cold-weather health emergency issues. Talking about all of this winter preparedness makes me think of all of the people in our state that are not able to get "cold weather" gear. So, it's great that the Southlands Shopping Center is teaming up with Coats for Colorado for a great event that is happening October 1 - November 30. They are collecting coats to help our communities. If you are looking for a fun, diverse weekend you do not have to look any further than South East Aurora. With the leaves changing, pumpkin patches, halloween decorations and tons of candy at every store, we are gearing up for Halloween. We are not the only ones, Old Chicago at Southlands Mall is having their Halloween Mini Beer Tour Kick off party, October 15 at 6pm. There will be “spooky” foods and all of the beers on the Halloween Mini Tour available. For this special tour there is not only one but two t-shirts you can receive when you complete this tour. Wanting more of an outdoor activity this weekend? Then come check out the Galloping Goose 5K/10K at Quincy Reservoir October 18 at 9am. The reservoir is beautiful this time of year and your $30 entrance fee goes to support the Parks, Recreation and Open Spaces of Aurora. Bring out your family and friends to “Run Your Tail Off”. Do your little one love the books of Eric Carle? Then The World of Eric Carle and Gymboree is a must-attend event. Gymboree at Southlands will open early at 9am for Caterpillar crafts and story-time. Let your child's creativity run wild while they create their favorite characters from the books as they listen to the stories that they love. If you are looking for a great date night spot then look no further than McCabe's Irish Bistro. Every Monday night they have their 2 Dine for $20. You receive one appetizer, two entrees and a dessert. What a great value! The Southlands Shopping Center is teaming up with Coats for Colorado for a great event that is happening October 1- November 30. They are collecting coats to help our communities. We all know how cold Colorado can get and just imagine if you couldn't afford to purchase a coat for yourself or family. Coats for Colorado distributes gently used and new coats to individuals and families in need. They can also use mittens, hats, scarves, socks and other warm clothing to donate to Denver Rescue Mission. I hope you are able to get out, enjoy the cooler weather and fun activities that SouthEast Aurora, Colorado has to offer. Keep checking back to southeast-aurora.com for more information on events, businesses and specials in the area. According to the calendar fall has been here for several weeks but with the 80-degree temperatures it hasn't quite felt like it. It seems this week that is all changing, the leaves have been turning colors, temperatures dropping and this weekend is full of festivities that will get anyone in the "pumpkin spice" mood. 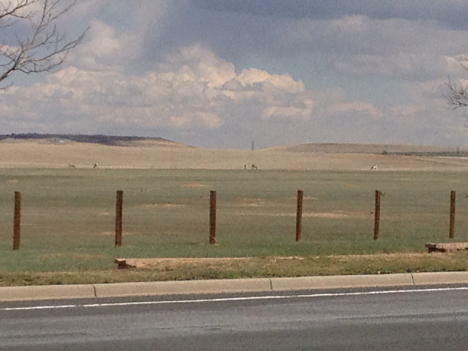 South-East Aurora, Colorado always has some form of event happening, but nothing quite draws the crowds from all over the region quite like the Punkin Chunkin. This event has become so large they have now turned it into a two day ordeal, October 11-12. This competition is to see who can build a contraption that will throw a pumpkin the farthest. These contraptions include slingshots, catapults, and pneumatic canons. You will see pumpkins whizzing in the air for hundreds of feet and then there are always the few that don't quite cross 10 foot mark. On top of the competition, there will be an exciting fall festival with family activities, a pumpkin patch, a fall market, food vendors and a beer garden. If that isn't enough fall festivities for you Sweet & Sassy is having their halloween carnival and Fitzsimmons Credit Union is having their fall festival this weekend. Sweet & Sassy's Halloween Carnival is happening October 10 from 6:30pm-8-30pm and it's $35 per child at the Southlands Shopping Center location. The Fitzsimmons Credit Union Fall Festival will include activities for both adults and kids, free food, giveaways, and much more. Both members and non-members are welcome to bring family and friends. There will be free food, pumpkin painting, face painting and giveaways! Want something that is more refined than festival food? Check out one of Wine Experience Cafe's wine dinners where they bring in a special guest-sommelier-chef. This week's event is happening October 13th at 6:30pm. The special guest is Diane Denham from J Vineyards. There will be Chardonnay, Pinot Noir and Sparkling wines from Sonoma paired with five courses. You do need to make reservations for this fantastic dinner and wine pairing at (303) 690-1025. I hope you are able to get out, enjoy the cooler weather and fun activities that SouthEast Aurora, Colorado has to offer this weekend. Keep checking back to southeast-aurora.com for more information on events, businesses and specials in the area.